Open 6 days a week, easy online scheduling for established patients. Welcome to the Acupuncture Clinic of Missoula, where we use acupuncture and Chinese herbal medicine to foster your health and wellness. Whether you are already familiar with acupuncture and Chinese herbal medicine; are here because of a doctor's recommendation; or that of a friend who has told you how much it has benefited their life; or perhaps you are tired of failing treatment plans, and suggestions of more medications and surgery; whatever your reason we are glad you've chosen us to improve the quality of your life. We are privileged to serve your needs. Please make yourself comfortable here, and if you ever have any questions please feel free to ask or peruse our website for further information. Click here to book your acupuncture appointment online today! Take a moment to meet our fantastic team at Acupuncture Clinic of Missoula. Heather Ellsworth is a licensed and board-certified acupuncturist, herbalist and oriental medical practitioner in Missoula MT. Heather was inspired by her mother, a nurse-midwife, at an early age and has been interested in medicine and women's health ever since. She graduated from the University of Montana with a degree in Biology with a Botany emphasis. Then continued her studies in western herbalism with Michael Moore at the Southwest School of Botanical Medicine and became a Certified Clinical Herbalist in 2003. In 2009 she graduated from the Oregon College of Oriental Medicine with a masters degree in Acupuncture and Oriental Medicine, she is also a Board certified Chinese herbalist. Paul Gourguechon brings to Acupuncture Clinic of Missoula 17 years experience as a Licensed Acupuncturist with a specialty in pain management. Paul, whose pursuit of excellence in Chinese Medicine has included an internship at the Chengdu University Hospital, has a calm and engaging manner that mirrors his deep knowledge and skill. He uses acupuncture to treat a wide range of conditions: from the joint, back, neck pain and headaches, to digestive and women's disorders, stress and anxiety, allergies and asthma, and to counteract the side effects of chemotherapy and other drug toxicity. "I have received excellent care from Heather Ellsworth for over a year. 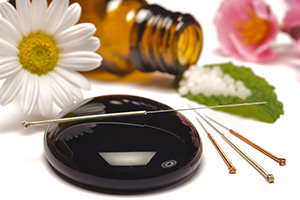 Acupuncture and supporting herbal formulations help me with many different health issues. Heather is compassionate and highly skilled." "I receive acupuncture from Rebecca and she had been consistently warm and effective."